LegalMatch Celebrates Halloween with a Costume Contest! There's an undeniable electricity around Halloween. The excitement could be attributed to Halloween being the kick-off to the holiday season or it could be all of the seasonal beers that come out during this time of year. For whichever reason, Halloween is loved by many and celebrated by nearly everyone in some capacity whether it be hiding in the bushes to serve up a "trick" or turning off the lights and pretending you're not home so you can dodge those pesky trick-or-treaters. LegalMatch in Austin, Texas celebrated with a good old-fashioned costume contest. Some employees dared to show their "freakier side" while others opted to dress up in more classic costumes but like any good Halloween festivity, leather pants were worn. Check out the pictures below and see how many personalities you can decipher. The LegalMatch Photostream on Flickr has the full photo recap. LegalMatch Closed for Memorial Day. LegalMatch offices will be closed this Monday the 26th in remembrance of all those who have given their lives to protect our great nation. We encourage everyone to take this day to volunteer or contribute to the U.S. Department of Veteran Affairs, which provides medical care and other vital services to U.S. veterans. 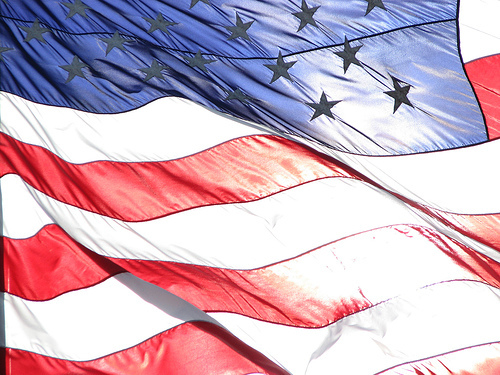 We wish you a wonderful Memorial Day, and will be back at our desks on Tuesday. You Should Have Been There…! Friday evenings at LegalMatch are typically dead. Most arrive at the office early with hopes of leaving early to start their weekends. Things were not so on the evening of December 16. Although many left work early their agenda was not to go home. Many LegalMatchers pre partied at local taverns and pubs to wet their whistles and warm up another chilly San Francisco evening. Around 6:00 P.M. they made their way to Harrison Street where all recount hearing the sounds of laughter and general Holiday cheer echoing through the hallways. As for favorite Holiday Party moments. I heard stories about spilled liquids and inebriation. There were whispers about a skit put on by one gentleman wearing cheetah print and a lace tank top while “Don’t stop till you get enough” was on the jukebox. Guess you really had to be there….Maybe someone took a picture. All in the all the party was a success. It is nice to see your co-workers having a good time outside of the daily grind of the office environment. I know you are all wondering about the canned food drive to support the Salvation Army of San Francisco. Well all of your hard work paid off. I believe the last can count stood at 119. Not too shabby for a weeks worth of collection. I say next year we double or triple that number although I applaud each and every one of you who donated to any charity this Holiday Season. Congrats go out to all who won prizes. Enjoy them. Nobody in my vicinity won anything. Maybe next year. As 2006 fast approaches I asked my colleagues about their New Year’s Resolutions. Here is a sampling: Many are in search of a healthier lifestyle (exercising more, eating less, quitting smoking). Others are tying to get those smokers to quit. Good luck with that. Some want to further their education by obtaining another degree while another LegalMatcher wants to fulfill last year’s resolutions on top of new ones. We are an ambitious group. But one of my favorites of course was to never make another New Year’s Resolution. As for mine…To spend more time with my friends and loved ones. I recently received an email from a good friend who reminded me that “Life is Too Short.” Boy is he right. LegalMatch Prepares for another Holiday Blowout. With only 12 days until Christmas rumor has it that this 2005 Holiday Party will be one that will not easily be forgotten. In true LegalMatch tradition there will be drinks, food, more drinks, dancing, good conversation and tons of fun. The Evites were sent out and it is guaranteed to be a full house. What will LegalMatchers be munching on you ask? Well it would not be a party unless the folks here in San Francisco had only the finest cuisine and in large quantities. All that dancing can make you quite hungry. This year Pasta Pomodoro will be catering the event. Menu items will include cold antipasti selections such as Bruschetta and Tramezzini (Italian for finger sandwiches) and hot antipasti selections such as chicken skewers and stuffed mushrooms. LegalMatch has always prided itself with helping out the consumer and their Holiday Bash 2005 will be no exception. A canned food drive, whose proceeds will go directly to the Salvation Army here in San Francisco, is in place and is actively accepting donations. The food drive will last until December 19 when the Salvation Army will pick up the donation. All have been encouraged to donate with the incentive of a free raffle ticket with every can donated. True Holiday Spirit. And you may be asking what type of prizes can I win at a company Holiday Party? You may not believe your ears but prizes include an iPod, gift certificates to various establishments and the most extravagant prize of them all: A “Daily Drive” from Club Sportiva. Just imagine being the one who wins the opportunity to drive a Ferrari 360 Spider for one whole day. Well worth the $.39 can of corn you donated to someone in need. If this year’s celebration is anything like last year’s celebration then we are all in for a sweet treat. I wish everyone a safe and Happy Holiday and a Happy New Year.